The sea and coast around Anglesey has long been recognised by seamen as highly hazardous. The rough seas and sudden storms of the Irish Sea have sometimes caused ships of all sizes to get into difficulties. During the days of sail shipwrecks were more frequent and in 1828 the first lifeboat, powered by oar and sail, was established at Holyhead. The first steam lifeboat arrived in 1890 and in February 1908 the lifeboat Duke of Northumberland went out in a full 80 mph gale to render assistance to the Liverpool steamer SS Harold. She was found anchored close to the rocky shore between North and South Stack. After two hours of skillful maneuvering the Coxswain, William Owen, managed to get close enough to haul seven of the crew on board by ropes. A large wave then pushed the lifeboat close enough for the remaining two crew members to jump aboard the lifeboat. The lifeboat herself was in great danger of being flung against the steamer and destroyed. For this brave rescue Coxswain Owen was awarded the gold medal and the other ten crew members the silver medal. Crew members of the Holyhead Lifeboats have been awarded 49 of the RNLI's medals for gallantry - 4 gold, 32 silver and 13 bronze. 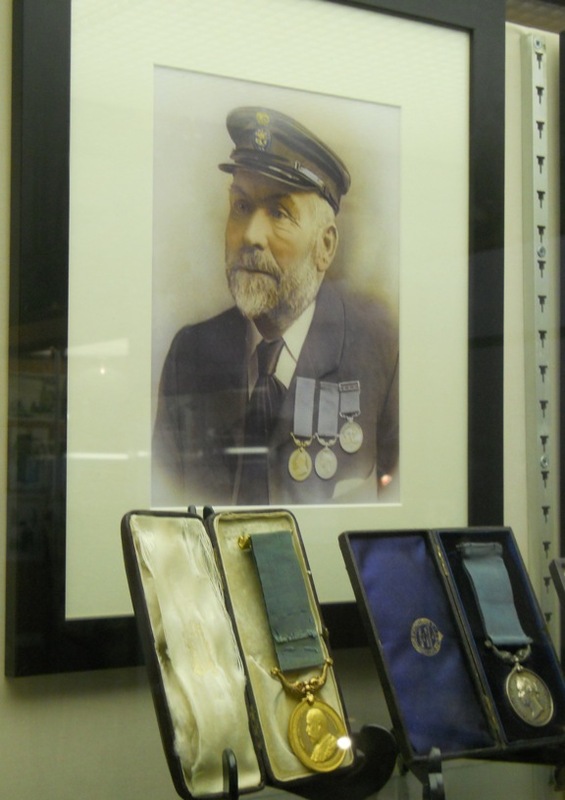 Holyhead Maritime Museum is located in an old Lifeboat Station dating from 1858 and is proud of its association with the RNLI. Visitors to the museum have the opportunity to view some highly detailed models of Holyhead Lifeboats, past and present, as well as learning about numerous local shipwrecks, maritime tragedies, and other brave rescues.